This is meant to be a very spiritual time of the year, where a person increases their acts of worship and devotion, trying to build a stronger connection with their Lord and Creator. However, I have to admit for the past few nights there has been a certain heaviness in my heart that is preventing me from feeling the full potential of these blessed nights, and is causing me to be distracted and bothered. This heaviness I’m feeling is the attitude of “religious” people towards our imams, scholars, and religious institutions, for decisions they have made based on sound knowledge, understanding, consultation, dua, and sincerity. I know I should be stronger and let people say and think whatever they want. I should, as they say, let the haters hate. 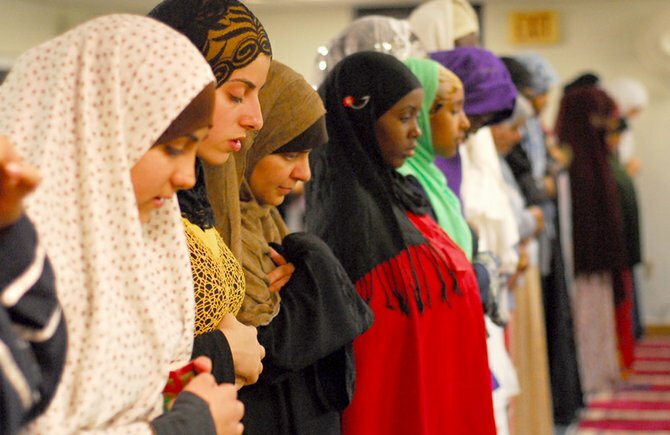 But this is an issue that needs to be dealt with head on, in a very direct and clear manner, if we want to move forward as a minority Muslim community in America. 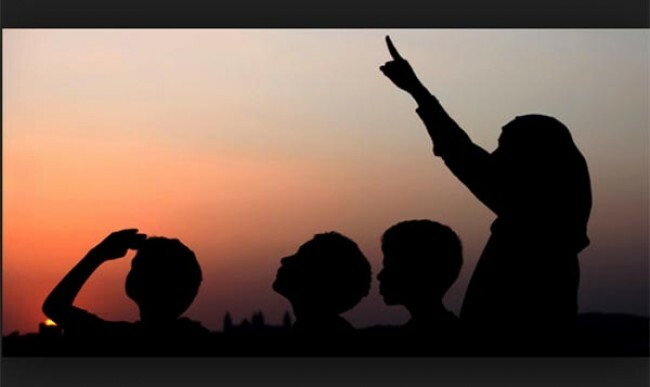 A few years ago a group of scholars, after discussions, research, and consultations with other scholars, decided to adopt the position of global moon sighting, a valid legal opinion, for deciding the beginning and end of Ramadan. This led to accusations within the community of leniency in matters of religion, pandering to the majority, deviancy, and other baseless, unfortunate claims. Similarly, this year we started fasting based off reports of highly respected and trusted individuals who sighted the crescent with the use optical aids. Using optical aids to sight the crescent is a valid legal position. Despite that, we still heard similar remarks and statements from a certain segment of the community. Along the same lines, this year, at the Institute of Knowledge, we decided to organize an all female tarāwīḥ for our female students who have completed their memorization of the Quran. The permissibility of having an all female congregation led by a female is a valid legal position. However, since this is something new and unfamiliar, we again started hearing critical types of statements and remarks. The hurtful part is that these concerns were never brought up to us directly. 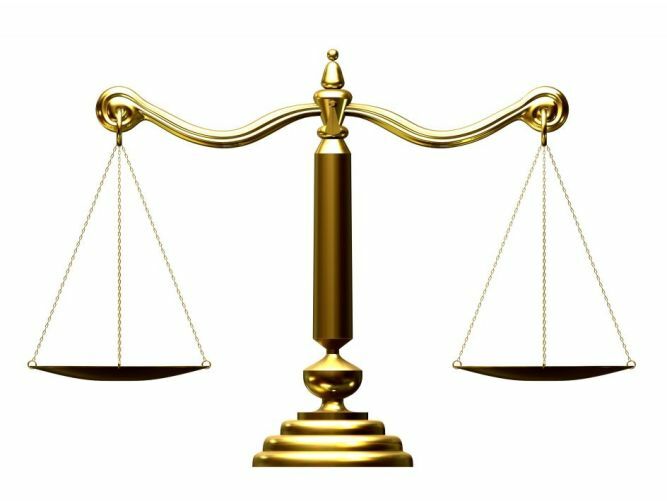 It is extremely important for us, especially our “religious” community members, to understand that within Islamic Jurisprudence there are a number of issues in which there are valid, accepted differences of opinion. Valid differences of opinion in secondary religious matters have always existed. They existed among the companions during the time of the Prophet ﷺ, they exist now, and they will exist until the end of times. There are differences of opinion among the various schools of jurisprudence and even within them. Pick up any book of Ḥanafī fiqh and you will find a number of examples where Abū Yūsuf and Muḥammad disagreed with their teacher Abū Ḥanīfah . Issues in which there are valid differences of opinion are classified as mujtahad fīh, meaning a matter subject to interpretation. These are issues that are open to interpretation and allow for scholarly difference. A mujtahad fīh issue is any issue that does not have a definitive proof. Imam al-Ghazālī defines it as, “every legal ruling that doesn’t have a definitive proof.” Since they are open to interpretation there will obviously be differences of opinion. For example, according to the Shāfiʿī position, a person should raise their hands to their shoulders when starting prayer. According to the Ḥanafī position, a person should raise their hands to their ears. There are differences regarding how to hold one’s hands in prayer, the ruling of reciting Surah al-Fātiḥah, reciting behind the Imām, saying āmīn out loud, and the list goes on and on. Issues of Islamic Jurisprudence aren’t as black and white as people make them out to be. As a matter of fact, they are very complex and require the expertise of scholars to comb through the Quran and aḥadīth, search for relevant texts, then use the rules of the Arabic Language, principles of fiqh, and their understanding to extrapolate and derive rulings. In addition, they look at the conclusions of previous scholars and experts, and understand their arguments and reasoning for those particular conclusions. It’s possible that two scholars will have the same verse in front of them but because of their different principles and methodologies, will arrive at two opposite conclusions. Basically, fiqh is much more complex and nuanced than we think. Whoever tells you otherwise is being academically dishonest or is ignorant. Adab Al-Ikhtilāf, the manners or ethics of disagreement, is unfortunately something that is greatly lacking in our communities. This is a subject that should be studied by all students of knowledge, scholars, imams, activists’, callers, and the general public. Issues in which there are valid differences of opinion should be dealt with a great level of tolerance and understanding. Just because someone follows a different opinion than ours or one that we are unfamiliar with doesn’t automatically make them wrong, lenient, or somehow a deviant who’s destroying the religion. Unfortunately, that’s the attitude of a segment of the so-called “religious” community. If we see someone doing something we disagree with we automatically start judging them. If a scholar looks a certain way or dresses a certain way we automatically start judging them. I have noticed a lot of students of knowledge, graduates from traditional madāris, and graduates from Islamic Universities catching heat from “religious” individuals for not practicing certain acts classified as al-sunan al-zawā’id or for dressing a certain way (primarily wearing what we endearingly refer to as “pant/shirt”). Since ikhtilāf in these matters are allowed, we must show tolerance in such issues. This means that we shouldn’t label the opinion of others which may be different, but valid, as deviant, an innovation, blasphemous, or creating fitnah. Rather we’re supposed to have an attitude of acceptance and inclusiveness. Part of Adab Al-Ikhtilaf is praying behind others who may follow a different opinion than your own. For example, there’s absolutely nothing wrong with praying behind someone who follows the opinion of wiping over their socks, bleeding doesn’t break wudhu, or reciting from the mushaf during tarāwīh. There’s absolutely nothing wrong with this and has been the practice of scholars throughout history. There’s a beautiful booklet written by Imām ibn Hazm dealing specifically with this topic. This lack of adab and tolerance from the “religious” and their attitude towards imams, scholars, and Islamic institutions for adopting and following valid positions they are unfamiliar with is extremely disheartening and hurtful. I mean, do they really think that someone who has spent anywhere from six to twelve or even more years of their life studying Islam, who has dedicated their lives to the service of Islam, is going to intentionally do something that is wrong or impermissible? Do they really think that they’re going to intentionally misguide the community? However, they are not entirely at fault because they may not know any better. Perhaps they haven’t been exposed to the diversity of fiqh and are only familiar with what they have been taught. They may even be doing so out of some sort of misplaced effort to uphold the truth or honor tradition.They may sincerely believe by speaking out they are engaging in some sort of nahy ʿan al-munkar (prohibiting evil). A large part of the blame for this type of approach and attitude lies on the shoulders of some of our scholars and graduates who perpetuate this sort of intolerance and narrow-mindedness. As people of knowledge who have studied and are aware of these finer details of fiqh, it is important for them to be academically honest. How is it that they have studied for so long and are considered to be scholars, ulema, and imams, and haven’t learned how to deal with valid differences of opinion in a fair and balanced manner? الإنكار على غير منكر، منكر بنفسه. It’s time for us as a community to mature and move above and beyond these debates through education. 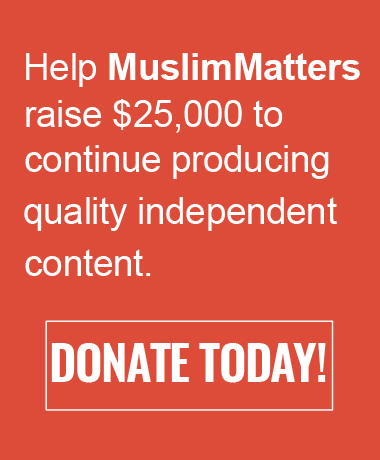 The Muslim community in America is very diverse and this diversity is represented through our scholars and imams. 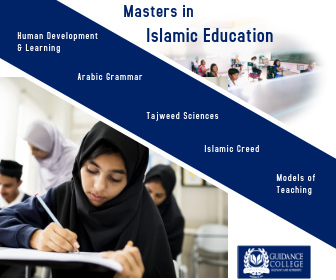 We have scholars and graduates who have studied at different Islamic institutions, seminaries, and universities throughout the Muslim world. Some studied at Azhar, some in Madinah, some in Dār al-ʿUlūm, some in Syria, some in Yemen, some in Mauritania, and several other reputable places. If you know anything about these institutes they have vastly different approaches towards Islamic Law and different ways of understanding texts of the Quran and Sunnah. All of these institutions are products of their environment; they were dealing with different realities religiously, socially, politically, and economically. Graduates who have studied at these different places have also adopted some of these different approaches and understandings. We’re entitled to our own opinions, as long as they’re valid. We can argue in favor of them and defend them till we’re red in the face, but at the end of the day we should all still be able to sit down and talk to each other. We have to have mutual love, respect, and understanding. Love, respect, brotherhood, and unity are far more important than our own individual differences of opinion. This diversity of opinions shouldn’t lead to disunity. Unity and conformity are two separate things. Islam requires us to have unity amongst ourselves, not conformity. May Allah ﷻ guide our hearts to what is correct, bring our hearts together, and unite our community. The use of optical aids to sight the moon is a valid position within the scope of fiqh. I will address the issue in a separate article after Ramadān. This will also be addressed in a separate article after Ramadān. عن الإمام سفيان الثوري أنه قال، “إذا رأيت الرجل يعمل العمل الذي قد اختلف فيه و أنت ترى غيره فلا تنهه”. Hi Furhan Zubairi, I read your information its really good and readable for viewers.The way you wrote the content is impressive. Masha Alla , well written and informational. Just what I needed! JazakAllahu Khayran for the article. Fiqh is an ocean, and often we are only exposed to a puddle. Arguably that’s because that’s all we need to go about our daily business, and to actually refer to Ulama in times of need.